STEM is short for Science, Technology, Engineering, and Mathematics. Preparing our children for the next wave of technological advances and careers through STEM will paramount for their success. Click below to learn more about STEM. As our children take a journey down this new STEM-Centric path, Volunteers are always welcomed to contribute a helping hand. Please click below to learn how to become involved as a Volunteer with Kansas City Teen Summit. The sky's the limit! Kansas City Teen Summit receives help from a variety of places. If STEM is something that resonates with you, please feel free to make a donation. Every donation is greatly appreciated, and goes towards STEM activities for the children throughout our different programs. KCTS works within the rural and urban communities to provide the best benefits in areas of youth empowerment, STEM education, summer youth internships, community beautification, volunteerism, helping the disadvantaged, and etiquette training. Help Kansas City Teen Summit Make A Difference Through STEM. Contact Kansas City Teen Summit to learn more about becoming and official Sponsor. 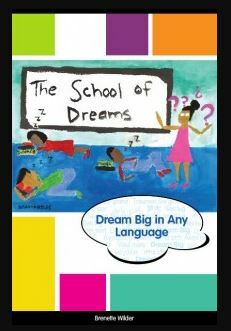 School of Dreams, by Brenette Wilder, is a book about 8 students’ dreams, hopes, and passions. The book also captures the colorful pictures of numerous children dreams and hopes for the future in Altheimer, Arkansas where the STEM program originated. In summary, this book is about dreams…owning your dreams and fulfilling them. Copyright © 2019 Kansas City Teen Summit. Powered by WordPress. Theme: Spacious by ThemeGrill.